Six months after the controversy began, Maoz is sanguine about the threats, and points out that Regev has given the film a great deal of publicity. “It wasn’t pleasant … but she stimulated the public debate that the film wanted to evoke, so for me that’s an achievement,” he said, speaking by phone from Tel Aviv. A scene from the movie Foxtrot. Named for a dance step that brings you back to the place you started, Foxtrot is an allegory for the way Israeli society is trapped by its traumatic past. The film opens as military officers arrive at the Feldmanns’ apartment to tell the middle-class couple their soldier son has died in the line of duty. 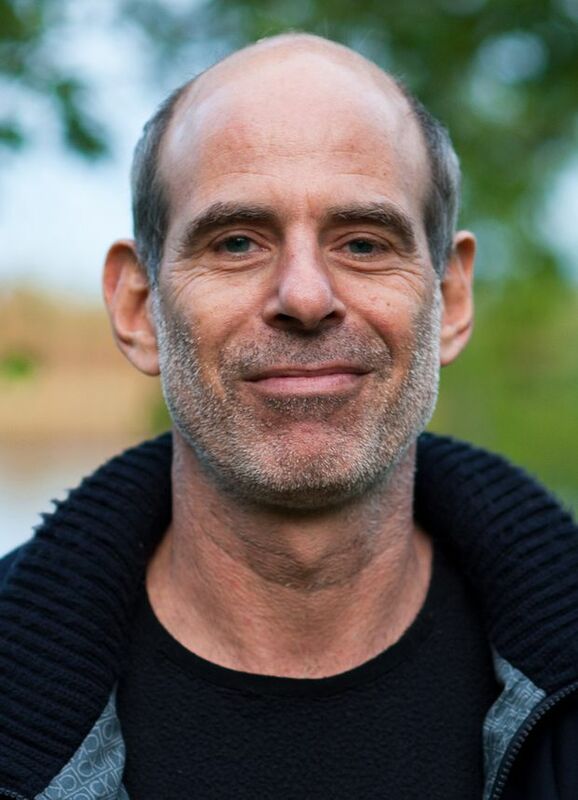 Later, Michael Feldmann goes to deliver the tragic news of a grandson’s death to his aging mother, a Holocaust survivor who is losing her memory: In this dark diagnosis of Israeli society, both the old generation and the new one are lost. “Foxtrot deals with the open wound or bleeding soul of Israeli society. We dance the foxtrot; each generation tries to dance it differently but we all end up at the same starting point,” Maoz said. The film is the second in a pair inspired by his own experiences as a conscript in the Israeli army. The first, Lebanon, is set almost entirely inside a tank during the 1982 Lebanon war. The film he created is an allegory of that situation, stylized and imagistic: The filmmaker says he creates visually first. The startling opening scene, in which the army arrives at the Feldmann’s apartment, began with a painting that Maoz owns that is marked by a chaos of black lines forming a vortex of telescoping squares. The piece appears behind the head of Daphna Feldmann as she opens the door to the officers and instantly realizes why they are there. The Feldmanns’ stark yet claustrophobic apartment, with its khaki colour scheme and dizzying geometric tiles, seems to personify their trauma; the next act, which takes place at the squalid desert outpost where their son checks the identity of passing travelers, is even more surreal – the red-and-white barrier is regularly raised for a crossing camel – but it is this passage that has caused such controversy in Israel. Although the army, the outpost and the travellers are never identified, Regev interpreted these scenes, which culminate in the cover-up of a military crime, as a direct attack on the Israel Defence Forces. Apparently, the symbolism has been lost on the films’ critics. 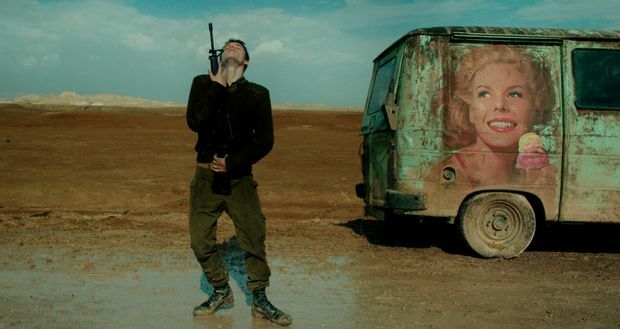 In January, after Foxtrot had won the country’s top film award and thus automatically became Israel’s foreign-language nominee for the Oscars, Regev expressed relief that it did not make the final list of five nominees. Then, in February, the Israeli embassy in Paris boycotted a local festival of Israeli film that its own government helps fund because the organizers had refused to bow to pressure from Regev to drop Foxtrot. Moaz said that oddly self-defeating manoeuvre provided his film with a great deal of welcome attention from international media. For the filmmaker, the politician’s hostile attitude proves his point about Israeli denial: In Foxtrot, the military literally bulldozes the evidence of its crime into the ground. Moaz believes it would take another Yitzhak Rabin, the Israeli prime minister who was spearheading the peace process when he was assassinated in 1995, to break out of the dance. Foxtrot opens March 16 in Toronto and March 23 in Vancouver and Montreal.